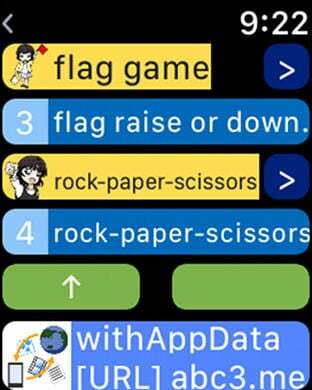 Since it seemed to take quite a while to make a manual for Apple Watch, please substitute this AppStore sentence. 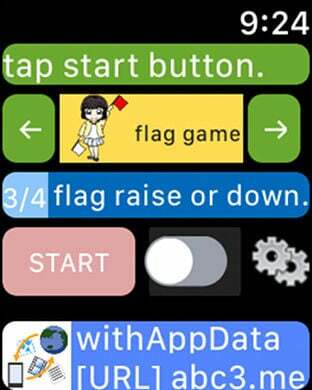 "<" Button is displayed in the upper left corner when Apple Watch switches the screen. if tap "<" Button, return to the previous screen. The OK button on the setting screen of this application is for saving information. please tap "<" button or cancel button at upper left of screen. switch the game with 「-＞」 (right arrow) button or 「＜-」 (left arrow) button. 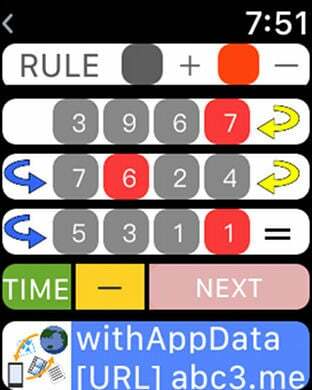 When the calculation screen opens, the start button is displayed. 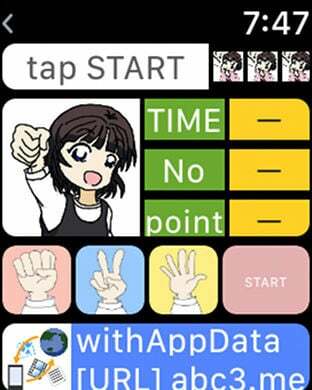 Tap "Start" button to display calculation screen. An image is displayed on the upper left of the screen. Please calculate the same image as this image or an image different from this image. 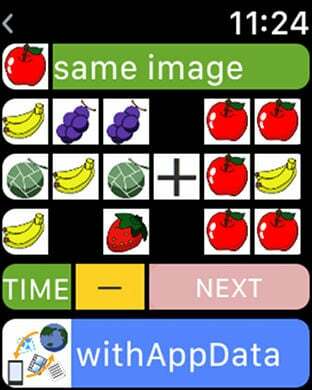 Calculate using the arithmetic operation (+ / - / ×) displayed on the left side and the right side. 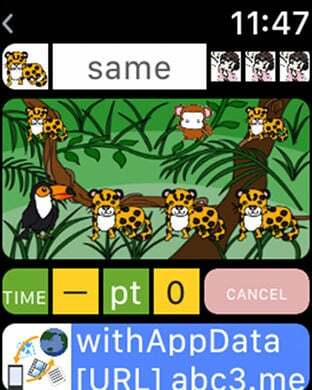 When you go to the "go to problem" button at the bottom of the screen or time up (by setting screen), the choices are displayed. If you want to try again, please tap "START" button. After opening the screen please tap "Start" button. if images are displayed, remember images. Please do tap the "next" button after remembering. An image like a card of cards will be displayed with the inverted image. Please select a pair of images one by one and tap. It is OK if the first selected image matches the next selected image. Repeat until you finish turning all the cards. It is a correct answer when turning all over. find the "flag game" third. if return to the screen display of the start button and rule button. if open flag game screen, start button at the bottom of the screen. order of the flag is displayed on the label. raise or down the flag as orderd. ※if about red color, raise or down red flag. current state of flag displayed on the center of the screen. 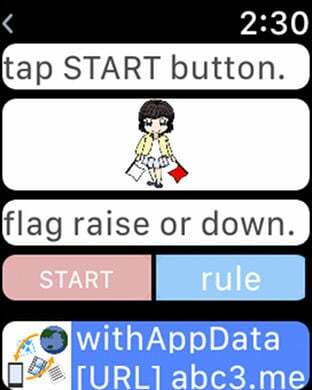 tap "keep" button or same flag state button. switch to the next problem. change the setting on the setting screen. display order of rock-paper-scissors on the screen. look at girl's rock-paper-scissors and order of rock-paper-scissors on the screen. display order of calculate mentally on the screen. calculate black is plus(+), red is minus(-). tap all of order image. 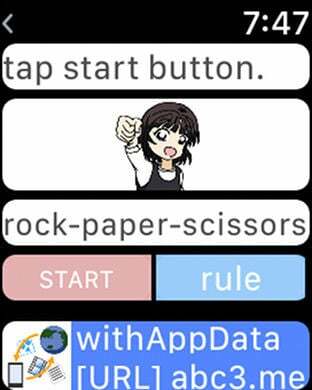 Tap the gear mark button to open the setting screen. to open the setting screen prepared for each game and switch. 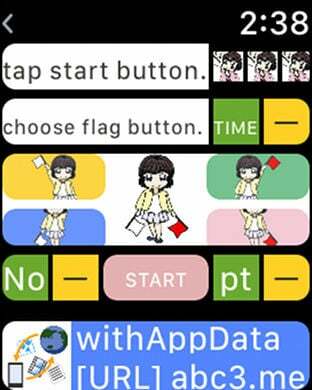 if tap "-＞" button at right side, open choose setting screen. tap "OK" button to reflect the above setting. on the upper left of the screen. this app is sales promotion application. 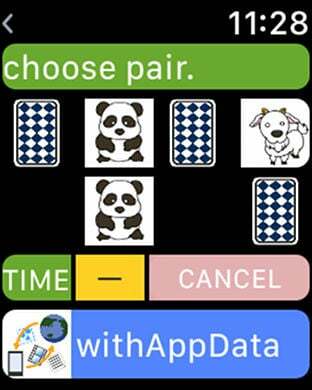 please download withAppData application by abc3.me.